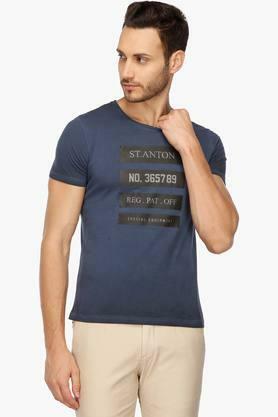 Step out in style by wearing this t-shirt from the house of Rex Straut Jeans. The round neck renders it trendy while the short sleeves further enhance the look. Besides, it features a printed pattern that will set you apart from the rest. 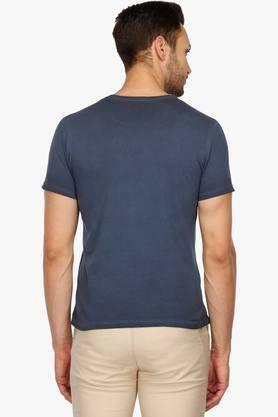 Made of fine quality fabric, it will make you feel comfy all day long. 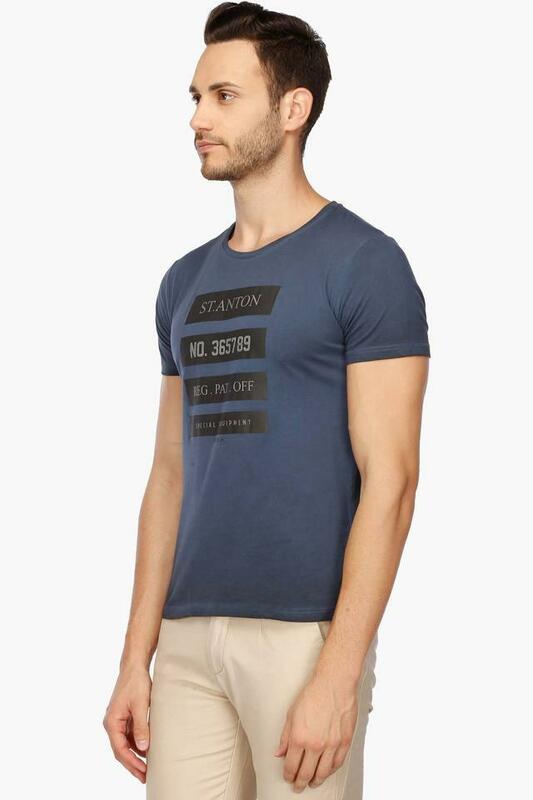 Tailored to perfection, this t-shirt from Rex Straut Jeans will be an ideal pick for any occasion. It will go well with a wide variety of trousers and derby shoes.